DETROIT MANHOLE SEWER COVER photo art picture print photography for sale. 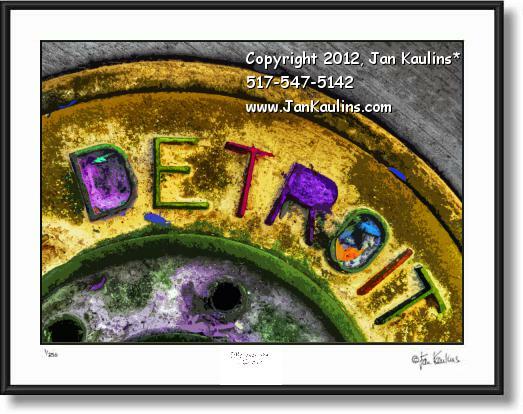 This DETROIT MANHOLE SEWER COVER photo art picture print is from an artistically enhanced multiple exposure group of photos by art photographer Jan Kaulins. We here see how the mundane can be transposed into the strikingly artistic.